Over the years of cycling, i compiled a list of activities I think should be the goal of every cyclist. Note that I haven't done them all - I still need to pass the famous ones on this list, but it's good to have a goal. A good difficult goal helps you in maintaining your training. 8. Your first 200km ride - You've trained, you've ridden hard and long. Your first 200km ride is the confirmation that your fitness efforts are here to stay. 7. Your first 1500m climb, 7% average or above - The flat is good, but the mountain is THE PROOF. Intervals, core exercises, dieting, it all comes down to being able to push through the unrelenting, never-ending climb. 6. Riding the Strade Bianche - Visiting the white gravel roads of Tuscany, riding through a great scenery of italy, ideally on an italian bike is one of the experiences that every cyclist dreams of. Relax, enjoy the scenery and listen to the crackle of gravel under the tyres. 5. 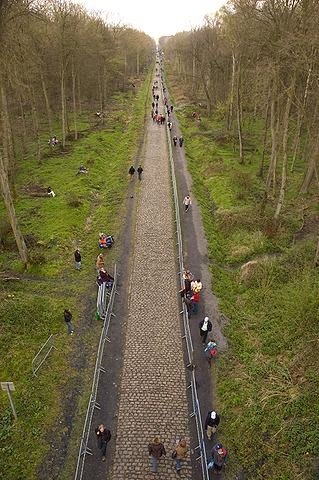 Riding the Paris - Rubaix or at least Trouée d'Arenberg - The Paris - Rubaix is a legendary classic and any self-respecting cyclist should ride and understand the difficulty of riding the cobblestone paths. If you don't have the resources or time for the full length, ride a couple of runs the Arenberg Forest at high speed. 4. 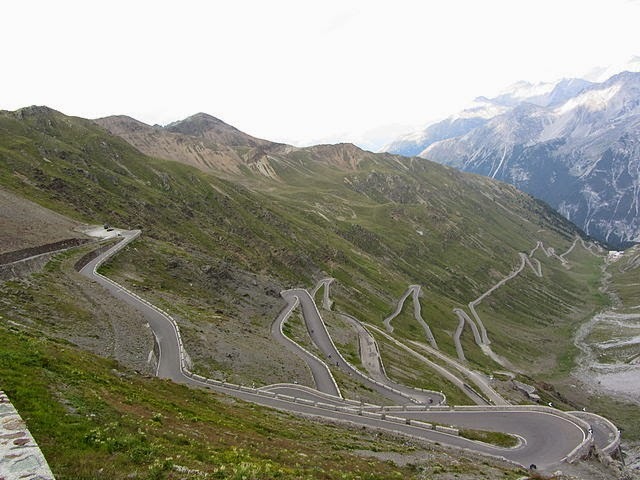 Cycling up Passo dello Stelvio - Top Gear named it the greatest driving road in the world. It has 48 hairpin turns and goes up to 2757m altitude. Ride non-stop, it in the middle of summer, on an italian bike, and join a limited club of people who can ride up Stelvio - a club that includes most of the cycling icons of our time. 3. 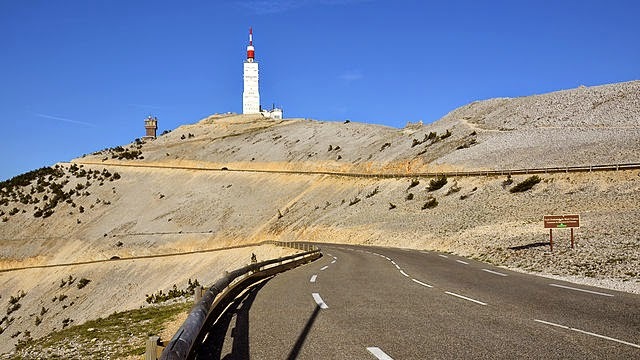 Cycling up Mont Ventoux - Maybe not the most difficult climb in the world, but definitely an iconic one, finishing in a desolate wind blasted peak, without any vegetation. You need to push against wind, heat and very difficult incline to achieve something not many have. 2. Your first 50km ride with your significant other - There are group rides, but the ride with your significant other is something much better. You are doing something together, and you are getting fitter. And you love the same thing. Even if you can't do the same intensity of ride, the exploration and adventure is something to remember. 1. Your first ride 10km with your kid - no amount of training, kilometres, vertical ascent or famous events is better than riding a flat 10k at slow speed with your son/daughter while talking, exchanging stories and jokes. You've made it as a cyclist - it's not about the speed, it's about the closeness with those you love. What are your best cycling feelings ?